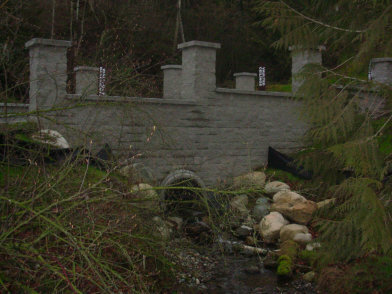 Kan Retain-It Contracting Ltd. has a core business of supplying and installing retaining walls here in the Lower Mainland. We also have paving stones as a large part of our business. Along with these two core elements we have crews doing all types of fencing, wood, chain-link and concrete. We take care of all your "hardscaping" needs. Kan Retain-It now supplies and installs a line of concrete resurfacing products. It's an economical solution to unsightly concrete that may still be structurally sound. A new line of pavers we are now supplying and installing in the British Columbia market. This paver has a unique look which will set your project apart. Doing good quality work doesn't take much more time, but it works and looks better.